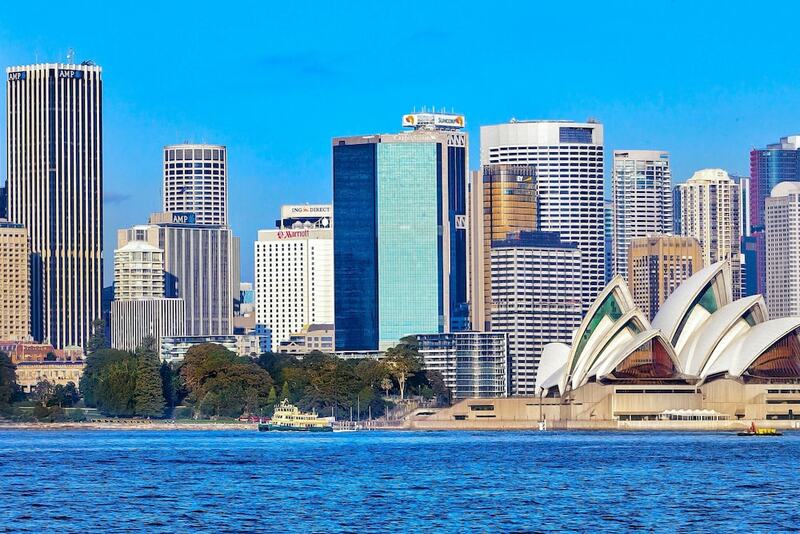 With a stay at Sydney Harbour Marriott Hotel at Circular Quay, you'll be centrally located in Sydney, within a 10-minute walk of Circular Quay and The Rocks Markets. This 5-star hotel is 0.6 mi (0.9 km) from Government House and 0.7 mi (1.1 km) from Sydney Tower. Make yourself at home in one of the 595 air-conditioned rooms featuring refrigerators and minibars. Cable programming provides entertainment, and wired and wireless Internet access is available for a surcharge. Private bathrooms with bathtubs or showers feature complimentary toiletries and hair dryers. Conveniences include phones, as well as laptop-compatible safes and desks. Enjoy recreational amenities such as a health club and an indoor pool. Additional features at this hotel include complimentary wireless Internet access, concierge services, and gift shops/newsstands. Enjoy local cuisine at Silvester's, one of the hotel's 2 restaurants, or stay in and take advantage of the 24-hour room service. Snacks are also available at the coffee shop/café. Need to unwind? Take a break with a tasty beverage at one of the 2 bars/lounges. Buffet breakfasts are available daily from 6:30 AM to 10:30 AM for a fee. Featured amenities include complimentary wired Internet access, a business center, and limo/town car service. Planning an event in Sydney? This hotel has facilities measuring 16619 square feet (1544 square meters), including conference space. Marriott Sydney Harbour features several dining options including the popular Customs House Bar gastropub and Icons Brasserie restaurant, serving breakfast and dinner. The property provides 24-hour room service. The hotel features beauty services. In addition to an indoor pool, Marriott Sydney Harbour provides a health club and a fitness facility. Business-related amenities include a business center and secretarial services. Meeting and conference facilities measuring 1544 square meters include conference rooms, exhibit space, and banquet facilities. Marriott Sydney Harbour also offers complimentary wireless Internet access in public areas, a lobby lounge bar, and a concierge desk. The property has a 24-hour front desk. A fitness center offers a full range of exercise equipment, as well as fitness instructors, and has an adjacent indoor swimming pool with a spa tub. There is also a souvenir shop and an Avis car rental stand. Limited valet parking is available (surcharge). The Sydney Harbour Marriott has a fitness centre on level four with a full range of exercise equipment. Fitness instructors are available, and there are yoga and aerobics classes on the outside terrace. There is also an indoor swimming pool with an adjacent spa tub. Within 1 km of Sydney Harbour Marriott, via the Sydney Opera House, is the Royal Botanic Gardens with a foreshore running and walking track. Bicycle rentals are available in nearby Clarence Street. A 10-minute taxi ride away is Centennial Park, offering extensive running and walking tracks, in addition to horse riding. Golf is available at Moore Park Golf Club (5 km), Bondi Golf Club (7 km) or Lane Cove Country Club (10 km). Sailing, windsurfing, and kayaking is available in Rose Bay, a 15-minute taxi ride from the hotel. The seaside suburb of Manly (30 minutes by ferry from Circular Quay) offers sea kayaking, surfing, scuba diving, parasailing, and numerous harbour walks.